Roll out the pastry into a large rectangle, big enough to hang slightly over the edges of a baking tray. Line a tray with parchment and then lay the pastry over it. Fold the edges over itself to build a rim around the border, and then simply top with the spinach, tomato, and cheese. Season with salt & pepper and bake for about 20 minutes or until the edges start to brown slightly. You could brush the pastry with an egg wash for a bit more color if you’d like. So simple, and so tasty – for breakfast, lunch, dinner, or a snack! 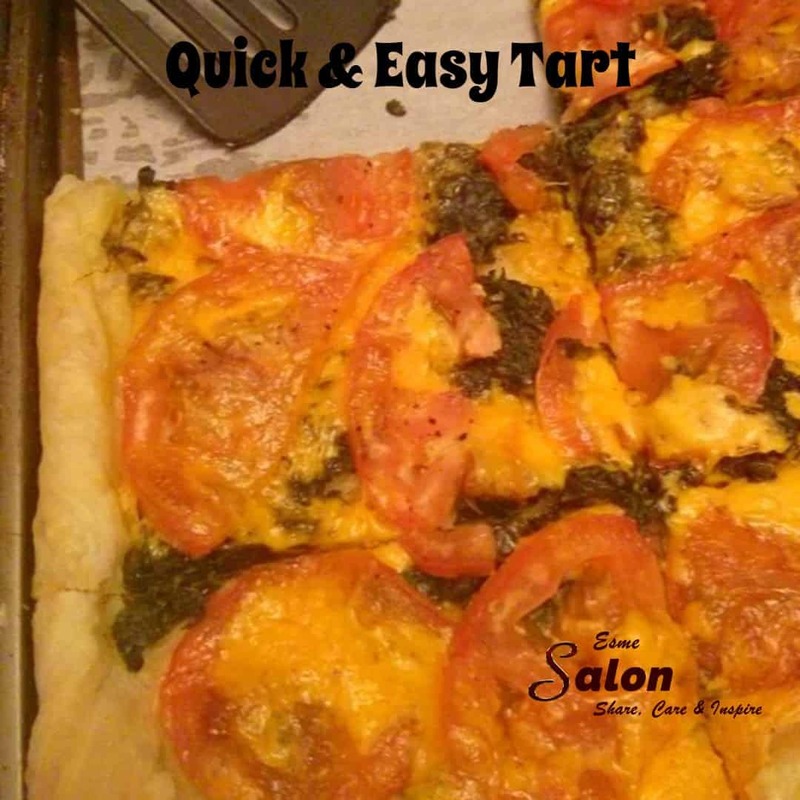 Quick & Easy Tart, with #tomato, #cheese, #spinach #filling. Just what the Doctor ordered for a hasty weekday evening side dish.